A recent Wall Street Journal article suggests that a new workplace concept involving first-come, first-serve group workstations – rather than personal desks or computers – is becoming more prevalent. This structure takes the debate of open concept offices vs. closed office spaces to a new level – and it’s a debate that won’t end anytime soon. As more research is done about the relationship between productivity, employee satisfaction, and office layouts, there is no one right answer. In fact, there is only one consistent answer: it depends. The biggest factor to take into account: your office culture. If your church is considering modifying your existing office space, consider the benefits and drawbacks of different designs as they relate to your culture. Here are some suggestions to help you choose a design that will bring out the best in your church staff. Your church culture should drive your office layout. In 2016, we moved to a brand new office space. Our CEO, William Vanderbloemen, was intentional about designing a space that promoted collaboration, community, and accountability – all core aspects of our company culture. William outlines his approach to our office design in his book, Culture Wins: The Roadmap to an Irresistible Workplace, “Communication and collaboration aren’t going to happen if people are divided, so you have to come up with new ways to ensure they’re working together. Each time we’ve grown, so have my concerns; therefore, I’m very aware of our physical space and how it affects our culture” (72). Start by taking a good look at your culture, then think about a physical space that will complement it. "Start by taking a good look at your culture, then think about a physical space that will complement it." A New York Times article points out that “Space drives behavior.” How do you want your staff to work and engage with one another? Do you have an abundance of creatives? If so, think about having small, private breakout rooms for creative brainstorming. A great tool that we have recently embraced at Vanderbloemen is Idea Paint – it can turn any wall into a giant dry erase board. 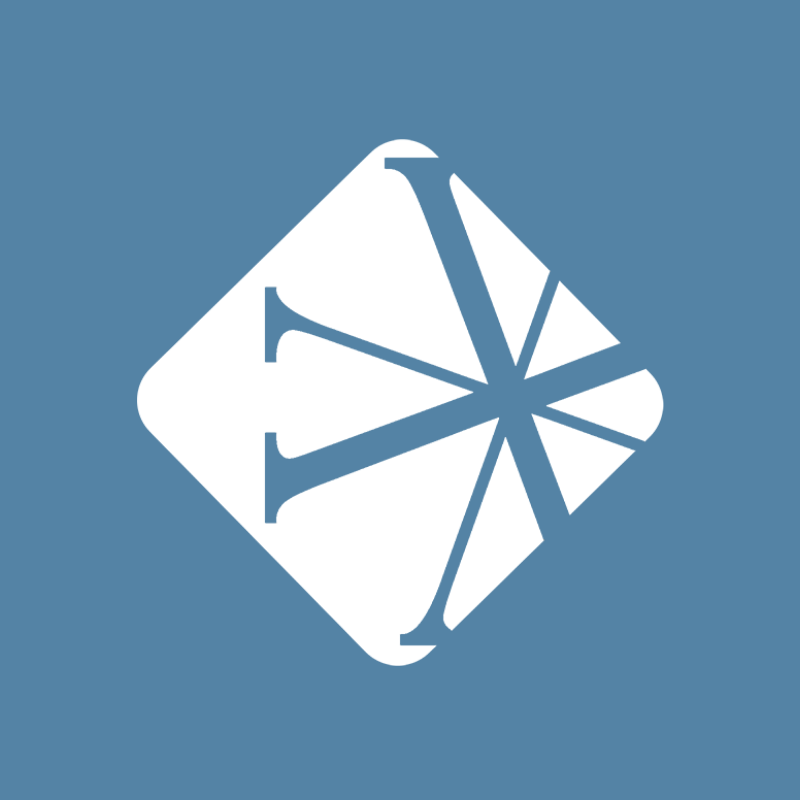 It’s a great interactive tool for brainstorming and planning. Does your team primarily consist of administrators or number crunchers? Make sure to have dedicated space that is solely theirs so they can focus. However, remember that just because they may work more effectively alone, that doesn’t mean that they want to be isolated all day from other team members. Think about creating informal meeting spaces or seating areas with comfortable chairs and laptop tables to combat the isolated feeling that can come with a closed office setting. Do you have staff that irregularly are in the office? Maybe think about workstations that multiple staff members can access on a first-come, first-serve basis so you don’t waste space with desks or offices that go unused. Think about specific tasks or behaviors of your staff and develop an office layout that will allow you to best use the space you have and encourage the behaviors you want to see. "Think about specific tasks or behaviors of your staff and develop an office layout that will allow you to best use the space you have and encourage the behaviors you want to see." A recent Harvard Business Review article emphasizes that the feeling of a space can affect productivity and satisfaction just as much as the access to practical tools and technology: “In our research, we discovered that success with open offices may have as much to do with how people feel about the space — something called place identity — as with the space itself. When place identity is higher, employees report more engagement in their work, more communication with their peers, and a stronger connection to the company.” Open offices tend to encourage greater engagement and collaboration. These setups can cultivate strong relationships that can deepen a sense of belonging. This “place identity” can factor into employee satisfaction, productivity, and retention. While open offices are naturally more successful in fostering “place identity,” that doesn’t mean closed offices can’t do the same. Why should your staff love coming to work? How do you reinforce your church values in your office environment? For example, at Vanderbloemen, the decor connects to our nine company values: “We’re a modest company, and we place more importance on people and values than things. We wanted that to be evident in our decor, so rather than investing in a lot of artwork for the walls, we set the tone right away by hanging our values around the office” (Culture Wins, 75). Think about ways that you can reinforce your church values in the physical design of your office space. "Consider the different work your staff might be required to do. Giving them choices on where to do their work can enhance productivity and improve their 'place identity." A study in Christianity Today points out that “Most churches follow a standard office layout: the senior pastor has a private office, associates have smaller private offices, and the administrative staff works in the open. Interior designer Lynn Pickard sees the office shifting to open-zone offices – which require less square footage – and incorporating private rooms for counseling sessions, private phone calls, prayer rooms, or small-group space.” Perhaps a shift to a different layout would be beneficial for your team. Remember that there is no one answer the this debate. 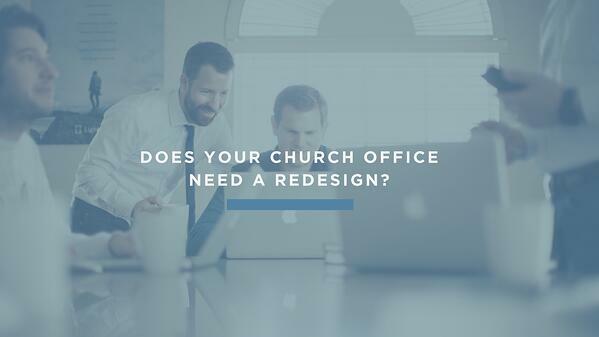 Begin by examining your church culture to help determine an office space design that is right for you. What office space design matches your culture? How can you modify your existing design to bring out the best in your team?